Digital Dawn is a biomimetic smart window blind in constant flux, growing in luminosity in response to changing light levels. 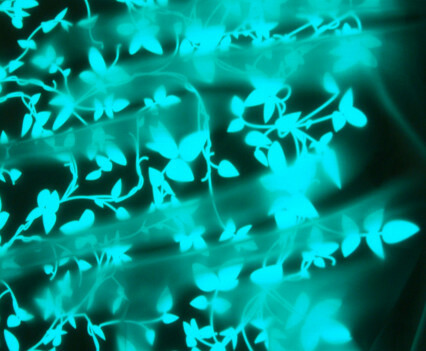 It digitally emulates the process of photosynthesis using printed electronic technology. 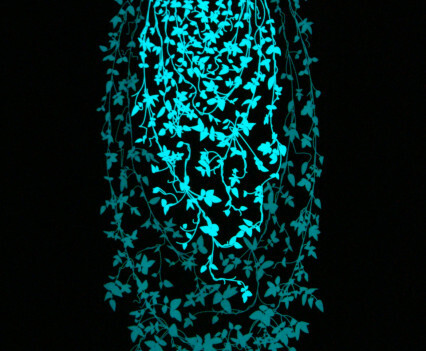 The is a project by Rachel Wingfield from the Royal College of Art in 2002. The darker a space becomes the brighter the blind will glow maintaining a balance in luminosity. 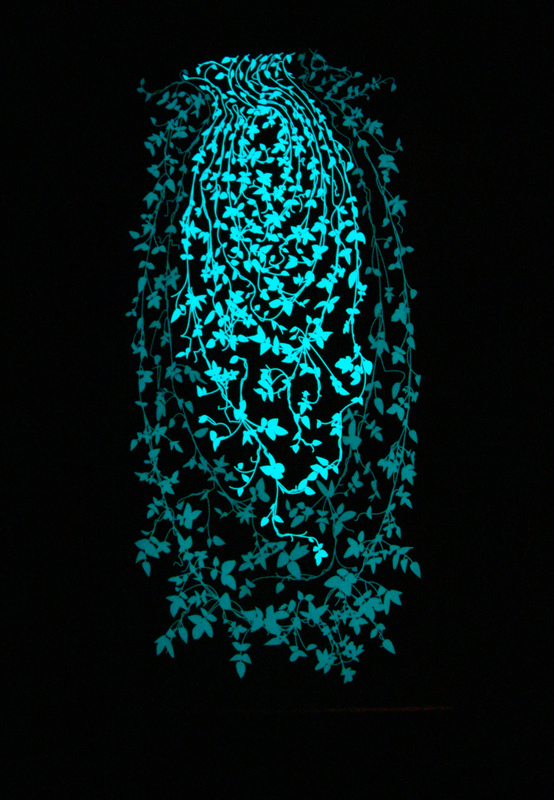 A natural, botanical environment appears to grow and evolve on the window lamp. 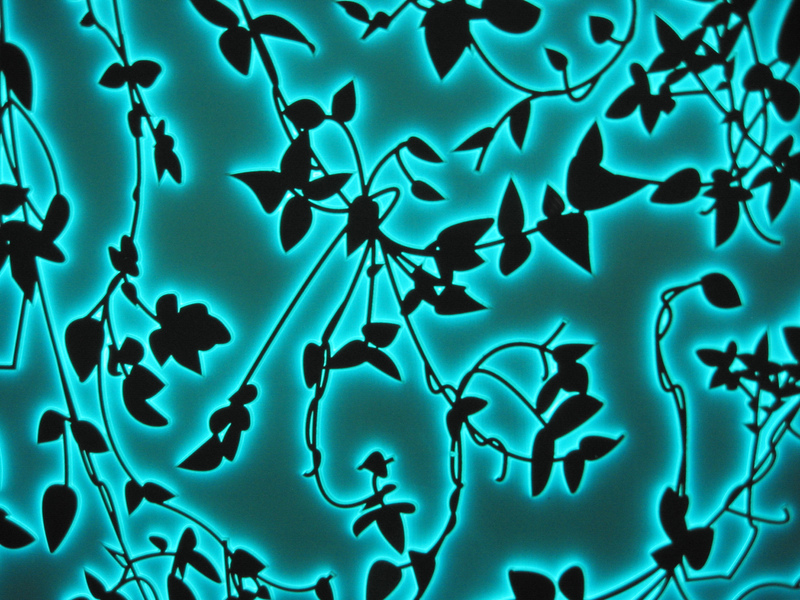 Light sensors monitor the changing light levels of the space triggering the growth of the foliage on the blind. The piece explores how changing light levels within a space can have a profound and physiological impact on our sense of well being. 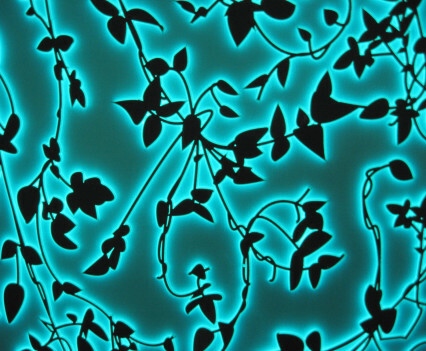 The print pattern resembles organic foliage, Electronic sensors monitor changing light levels in the installation and will trigger development of the image on the blinds. Thus an organic environment will appear to grow and evolve naturally on the window blind, exploring how changing light levels within an environment can have a profound impact on emotions. Insufficient levels of daylight can cause severe medical conditions, the blind therefore appeals to not only sufferers of SAD syndrome but to all who experience the space.It also explores the ability and potential of fabric to flirt on the boundary of physical and virtual spaces as it plays with the ethereal quality of light in a continuous dialogue with its environment. 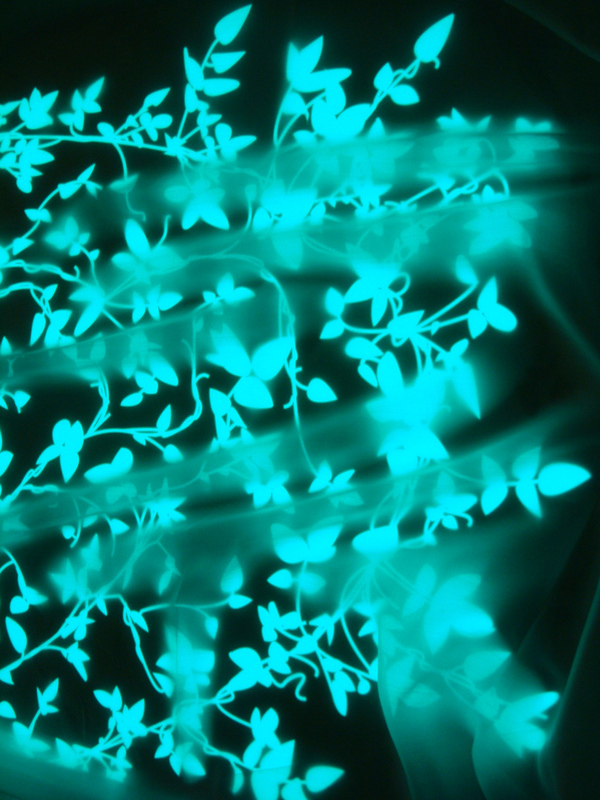 Digital Dawn was conceived to mimic the ability of plants to photosynthesise, Utilising the natural energy of the sun in the day and storing electricity that will be used later to illuminate the blind. Share the post "Digital Dawn"